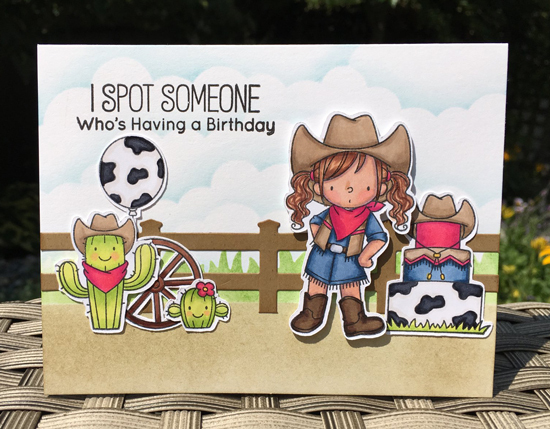 Kathy created an adorable western scene featuring the new Saddle up & Celebrate stamp set. 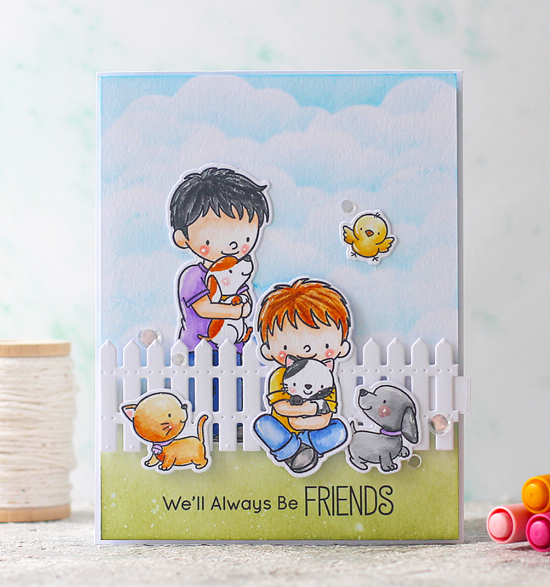 We love how she incorporated so many of the images into her design and added the stenciled grass peeking out from behind the fence. 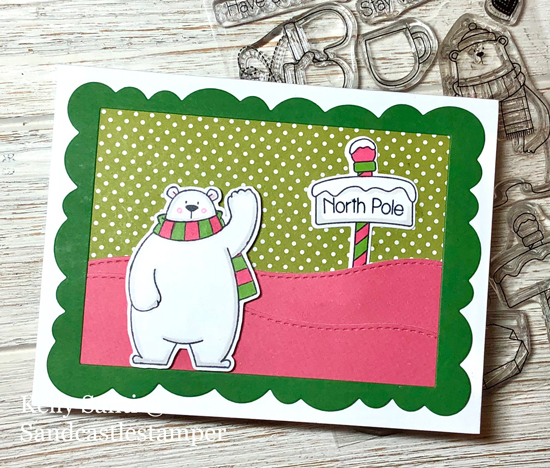 It might be July, but we love Kelly's frosty polar bear design complete with a sign for the North Pole. The combination of pinks and greens in both her coloring and landscape is totally unexpected but really works for the design. 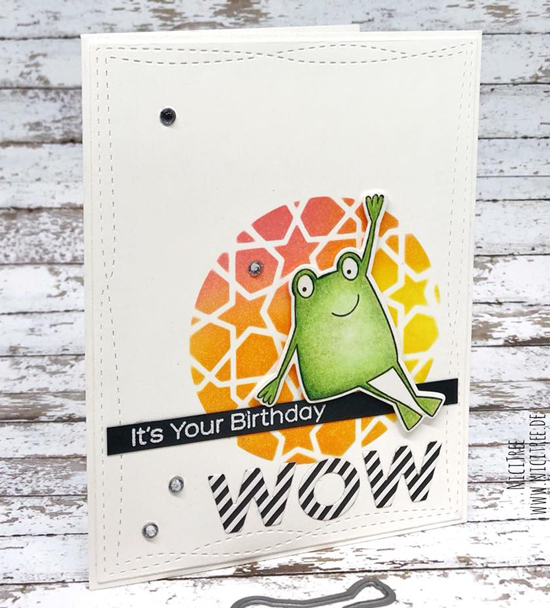 We adore the images in the Toad-ally Awesome stamp set and love that Nicole combined one of the delightful toads with the Geometric Stars stencil. The bright oranges and yellows are a great backdrop for her birthday scene. This card by CRNcards is absolutely stunning! 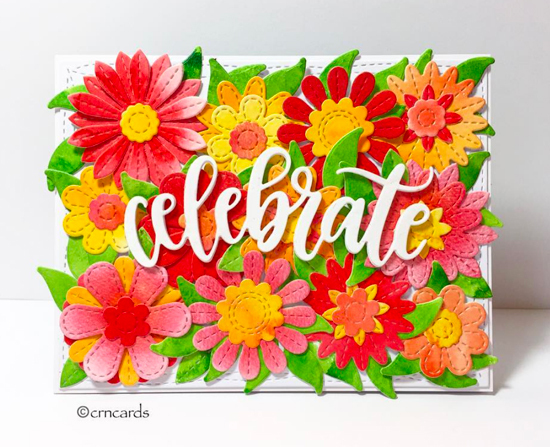 The gorgeous mix of flower die cuts in vibrant corals, yellows and greens definitely makes this card stand out from the crowd! 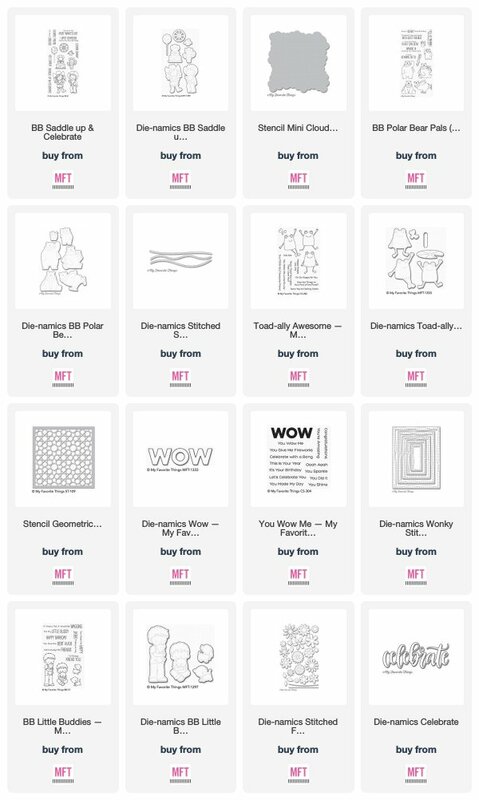 I love seeing what other crafters are creating, thanks for sharing these wonderful cards.